Falling victim to medical malpractice is a tragedy piled upon a tragedy — we implicitly trust medical professionals to make the best decision and put the lives of ourselves and our loved ones in their hands. It's hard to even think about anything going wrong in these situations, but we here at Bluestein Attorneys believe that the best time to learn the facts about medical malpractice isn't after the tragedy has occurred, but before. If you or your loved one goes in for medical care aware of your rights, options, and needs in the event of serious medical misconduct resulting in injury or death, you'll be better prepared to advocate for yourself, for family members, and to seek justice if anything should go wrong. Another term commonly used for medical malpractice is medical negligence. It is often defined as being an occurrence wherein a medical professional acts, or fails to act, in a way that falls short of the base standard of care expected of them and causes injury or death to the patient. Other professions that may be included in the "medical professional" term include dentists, chiropractors, physical therapists, and others. A dentist failing to properly treat a tooth infection, leading the infection to spread throughout the patient's body. A patient presenting with a head-injury after an automobile accident who is not monitored for signs of hemorrhage or concussion. Noting a patient's long-term hypertension but failing to treat it, resulting in a stroke or heart attack. Certain complications at birth that result from medical negligence, inaction, or wrongful action. Burns, lacerations, infections, or other injuries suffered as a result of negligence or wrongful action during surgery. While examples of malpractice are many, there are just as many examples of what isn't medical malpractice, at least under the law. The most important rule to remember is that a wrong decision or a bad outcome is not necessarily malpractice. While a certain decision may have ended with unfortunate results, it may not legally count as malpractice if the doctor or nurse did not deviate from an accepted standard of care. What is considered an acceptable standard of care may vary from state to state. A good general rule is that the "accepted standard of care" refers to the degree of care and skill that any medical practitioner with the same level of qualifications would be reasonably expected to provide any patient who sought care for the same reasons. For instance: when a patient presents with a serious infection, the standard of care would be to provide antibiotics and attempt to locate and work on the source of the infection. Any medical professional can generally be expected to treat a patient with an infection in that manner, and so that would be the 'accepted standard of care'. Don't assume that your doctor "meant well", and that therefore they did not deviate from the standard of care. Although not all mistakes are not malpractice, malpractice often results from unintentional mistakes. Failure to obtain the patient's informed consent prior to a procedure. The last example is where we often find clients who are hurt, confused, and uncertain as to what steps they should take next. Many women who undergo C-sections, for instance, may not feel their doctors fully informed them of the risks of the procedure or feel that they were strong-armed or forced into signing a consent form without their questions and concerns being addressed. It is the medical professional's responsibility to fully inform you or whoever has medical power of attorney of all facts, including risks, possible complications, and likely outcomes of a proposed treatment prior to proceeding with that treatment. The consent of the patient should be obtained after they have been so informed. 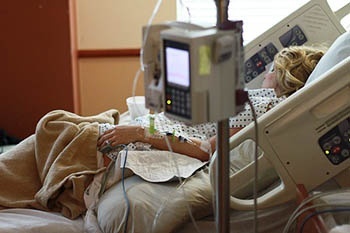 If you or a loved one has been the victim of medical malpractice, it is important to speak with an attorney right away. In South Carolina, the statute of limitations on medical malpractice may be as soon as three years from the date of the act (or failure to act) that was the impetus for the lawsuit, or from the date the injury was discovered or should reasonably have been discovered. These may be two different dates, since some complications may not show themselves right away. In medical malpractice cases, it is almost never advisable for a patient or patient's family member to act as their own representation. Malpractice suits can be incredibly complex and it is always a good idea to speak with an attorney with some experience in the field. If you or your family member is found to have been the victim of medical malpractice, there are some possible damages that you may be able to recoup. Compensation for the initial injury or complication may be awarded, as well as medical costs associated with repairing the injury, future and ongoing medical costs, lost income or wages, pain and suffering, and in a few very exceptional cases, punitive damages. Don't Wait. Speak With Someone Today. It's imperative that you begin seeking out the information you need to protect your individual rights after you've been injured or sickened as a result of medical negligence as soon as possible. At Bluestein Attorneys, we're here to help with medical malpractice at any time and would be happy to speak with you about your individual situation. Reach us by phone at (803) 779-7599 or click the banner below to schedule your free consultation.